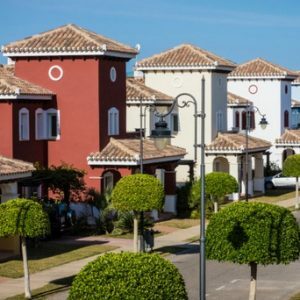 In Spain’s large cities during the past year, the number of overnight stays offered in private tourist lettings exceeded those available in hotels for the first time. This trend has been increasing for some time and the latest figures released for April 2017 show a total of 9.7m overnight stays in non-hotel accommodation. The figures include private apartments, campsites and rural B&Bs. The figure represents an increase of 41.2% compared with April 2016. The impact of websites such as Airbnb and Wimdu has been significant. Private property owners can now rent out their apartment with ease and don’t have the overheads of large hotels. This has led to concern from the hoteliers. Although, hotels in Spain have had a bumper year, due to the record number of tourists who visited Spain, there are worrying signs for the future as now they have major competition. The figures for rentals shows that the majority were actually Spanish citizens; over 1.4m out of a total of 2.3m holidaymakers. The next biggest market were EU citizens with nearly 800,000. The number of nights booked by non Spanish residents naturally exceeded those by Spanish nationals. There are moves to combat this growing trend. Barcelona has seen some organised demonstrations in recent months. Many feel that the city is becoming swamped by tourists, not only from private apartment bookings but also the large number of cruise ships that visit the city. In Madrid, the problem is forcing residents out of many suburbs as they become priced out of the market. 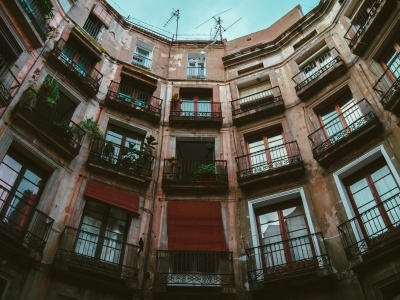 In many areas, such as Malasaña, landlords prefer to use websites such as Airbnb to rent out their properties on a nightly basis. The income that can be received as a holiday let is in many cases three times the typical monthly rental. Madrid has experienced a nearly 15% increase in rents over the past 12 months. In holiday hotspots such as Torrevieja and Orihuela Costa, it is also increasingly difficult for locals to find long term accommodation. Landlords prefer the opportunity to receive high weekly income during the busy months of July and August. The authorities are under pressure to curb this problem, both from residents and the hotel groups. The necessity for a private landlord to hold a tourism licence has been introduced throughout Spain. The requirement is being imposed and examples made of non compliant landlords by way of significant fines. If you have a property in Spain that you either rent out as a holiday let or are thinking of doing so, please don’t hesitate to contact us. We have helped many clients to ensure that their obligations are being met.